It’s time to start thinking about summer reading. Even if you are not interested in assigning projects for students to do during the summer vacation, it is essential to encourage your students to continue reading over the break. 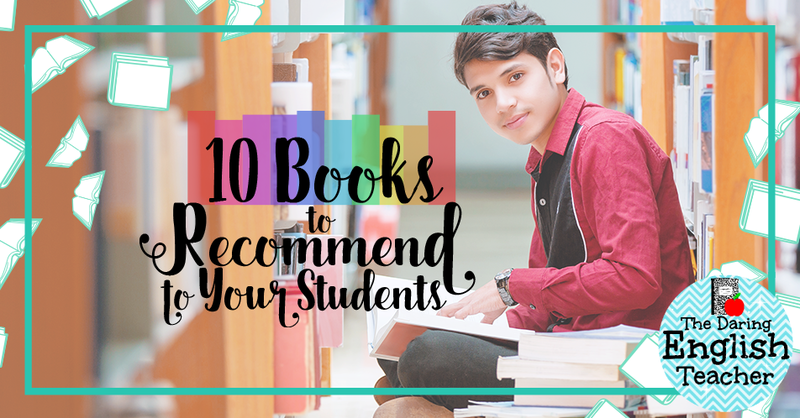 Or, you may just be looking for books to recommend to your students during the school year. Here are five books to suggest to your students for “just-for-fun” reading. This beautifully written novel will engage readers as they learn about a new culture, language, and religion. While the moral dilemmas and exciting plot points will provoke discussion, the profound insights of the book will encourage students to use personal insight to analyze the novel. Middle school and high school students alike will enjoy this book. 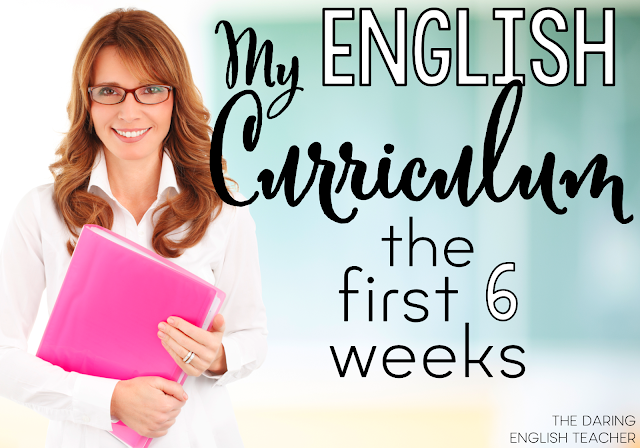 This verse-novel may be new and different for many readers, but the writing style will introduce students to a new way of looking at literature. 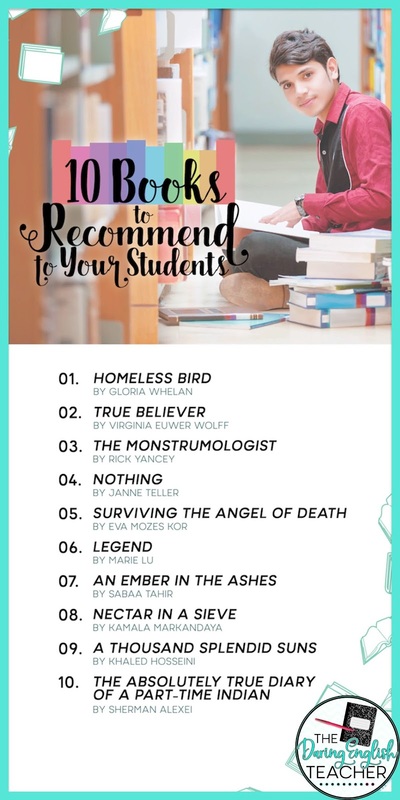 For high school students, this book will act as a source of comradery and relatability as they see many of their struggles reflected in the novel. This is a brilliant novel that holds a mirror to literature’s Gothic age. The fast-paced tale breathes life into the young adult horror genre while asking essential questions on the moralities of weighty subjects such as law enforcement and imperialism. Mature high school readers will be engrossed in this adventure tale. This novel, originally written in Danish, is a surprisingly deep and meaningful story that will force personal reflection. The book introduces a nihilistic mindset and a profound message on bullying. A mature reader with an open mind will find an exciting and compelling read in this novel. This non-fiction book writing by a Holocaust survivor tells of the experience of a Mengele twin in a Nazi concentration camp. Young readers may be hesitant to read a non-fiction book for fun, but this book is as engrossing as it is powerful. Great truth and a lesson can be learned from this book as it reflects on the horrors of human history. This book is appropriate for both middle school and high school-aged students. Warning: There is both adult and young adult versions of this book. While the content is mostly the same, your students will most likely appreciate the writing of the later. For your student that can’t get enough of dystopian literature! This book, which bleeds into a trilogy, features two main characters: an officer of the law and a known criminal. Students will enjoy the suspenseful game of chase as June (the officer) hunts down Day (the criminal) for a crime he may or may not have committed. Bonus: this series features a compelling and brilliant female heroine. If your student is looking to start a great series that takes place in a fantasy realm, this book is excellent. Sabaa Tahir constructs a fantastic world full of magic and mystery that also pays homage to the Roman Empire. Students will love the characters and fast-paced plot of this novel. Markandaya paints the picture of the quickly changing Indian landscape through the eyes of a child bride in this beautiful novel. With lyrical prose, this book addresses issues of poverty and imperialism as it tells a heartbreaking story that readers will not soon forget. By the author of The Kite Runner, this novel will enchant and engross students (preferably high school) and teachers alike. While telling a gripping story of two women brought together by war, this novel also depicts a vital span of history of Afghanistan. Readers will grow in their understanding of a landscape riddled with false assumptions as they learn new cultural values. Based on his own experiences, Sherman Alexei tells the story of growing up on an Indian Reservation. With poignant drawings and enlightening interviews with the author, this book introduces readers to new cultures and experiences as it breaks the chains of prejudice and predispositions.